They were just kids and they thought it was funny. He was a homeless Vietnam vet who had his foot blown off. The punks thought they were doing the world a favor by abusing him. I found them a mile away from where they left him and made them tell me where they’d left his prosthetic. I took it back and said he could come to my place. He asked me why. I told him that Marines have each others backs. Later that night, he stood on one good foot and one artificial one, and we both saluted the flag. I wrote this for Rochelle Wisoff-Fields’ photo writing challenge. The idea is to use the image above to create a piece of flash fiction no more than 100 words long. My word count (after a lot of editing) is 100 words. 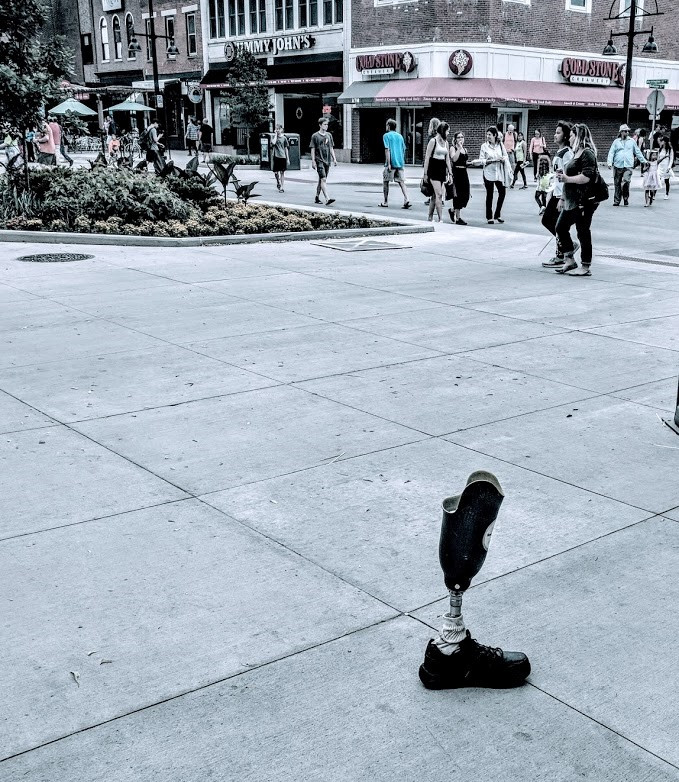 A prosthetic limb and the American Independence Day. I didn’t have to think hard to write this one. My Dad was a veteran and so is one of my sons. For their sake alone, I’ll never take the knee in front of the American flag, though I respect the right of anyone who chooses to. After all, that’s what so many have fought and died for; the right to speak their mind in a free country. Happy Independence Day to you and yours.